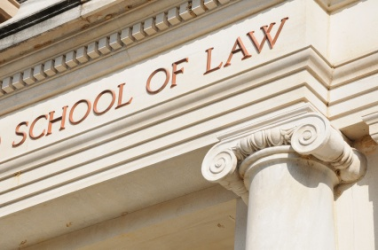 Are Lawyer Residencies The Future of Legal Education? It seems everyone has an idea on how to do a better job of preparing new lawyers for the realities of practicing law. A trending topic: lawyer residency programs along the lines of the medical residencies. Proponents say the current method of training lawyers – three years of classroom education followed by crippling debt, dismal job prospects and little if any actual experience with clients – is not working. The author of the editorial – John J. Farmer – is Dean of Rutgers Law School, former attorney general of New Jersey and senior counsel to the 9/11 Commission. So he’s got street cred. “[F]irms would be able to hire more lawyers, at the lower rates, and give talented graduates of less prestigious institutions a chance to shine. The firms, at the end of the residencies, could then select whom to keep. Even for those who don’t make the cut, the residency will have provided valuable experience. The law firms should be required, under this proposal, to offer stipends to help those residents who don’t make the cut but have debt burdens. Dean Farmer is not just blowing smoke. Rutgers is moving forward with a postgraduate, nonprofit law clinic to be staffed by recent graduates. All the way across the country, Arizona State University is trying something similar. The dean of ASU/Sandra Day O’Connor College of Law said he was inspired by a visit to the Mayo Clinic, where he saw medical residents getting hands-on experience and continuing education at the same time. The ASU program is in creating a nonprofit, teaching “law firm.” When it is fully up and running, the firm will use half a dozen experienced attorneys as “partners” to oversee the work of 15 to 30 recent law grads. Residents will be paid and receive benefits. Over the course of two years, they will cycle through different practice areas – bankruptcy, family law and corporate organization. Dean Farmer says lawyer residencies are a win for everybody. Jay Reeves a/k/a The Risk Man is an attorney licensed in North Carolina and South Carolina. Formerly he was Legal Editor at Lawyers Weekly and Risk Manager at Lawyers Mutual. He likes sunshine and azaleas. Contact jay.reeves@ymail.com, phone 919-619-2441.